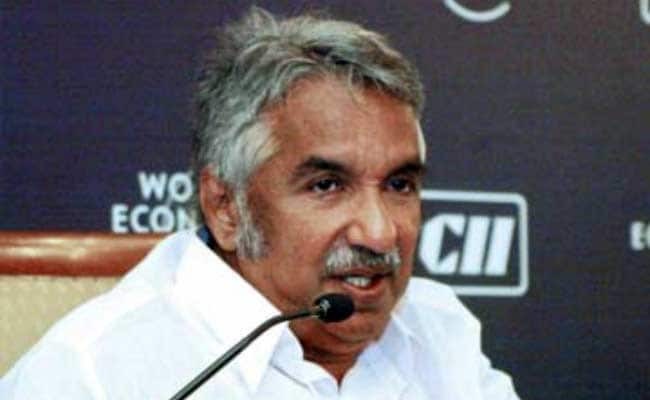 Kerala Chief Minister Oommen Chandy said the airport would speed up the growth of tourism and handloom industries. Kannur: The first trial flight on Monday landed at the newly-constructed International airport in Kannur in north Kerala, one of the flagship projects of the Congress-led UDF government. Kerala Chief Minister Oommen Chandy said the airport would speed up the growth of tourism and handloom industries of the northern part of Kerala. Thousands of locals gathered to witness the event and cheered when a 228-Dornier aircraft of Indian Air Force touched down at about 9.00 AM at the airport nearby Matanoor. Air Marshal R Nambiar, hailing from Kannur, was the flight pilot, which had five other officials. Mr Chandy and his Cabinet colleagues K C Joseph, K Babu and K P Mohanan were among those present at the event. However, representatives of the CPI(M)-led LDF Opposition and BJP boycotted the function. Hitting out at the Opposition for not attending the event, he said people were not interested in controversies. They were with development, he said. "People will rebuff with contempt those who oppose growth.... the thousands who came to witness the function is a clear pointer to this," Mr Chandy said. The Chief Minister said the opposition has the right to criticise but people would not approve their stand of stalling development activities. Kannur Airport will be the fourth international airport in the state. The others being in Thiruvananthapuram, Kochi and Kozhikode. It is expected to be commercially operational in September. Built at an estimated cost of Rs 1,892 crore, it is the second airport to be built under PPP route after Nedumbassery International Airport at Kochi. Expansion of the airport is proposed in two stages. In the first phase, facilities would be made to link countries like UAE, Kuwait, Saudi Arabia, Hong Kong and Singapore. The state government has 35 per cent stake in the Kannur International Airport Ltd Company that will run it. Public Sector Undertakings has 25 per cent shares, Private participation 30 per cent and KIAL 10 per cent. Construction work of the airport was inaugurated by then Defence Minister and senior Congress leader A K Antony on February 2, 2014.